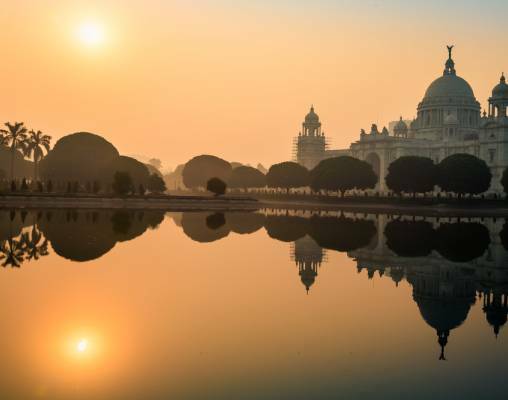 On this incredible adventure packed with ancient traditions and treasures, we explore colorful Kolkata, before traveling in to the Himalayan foothills and onwards to Bhutan - the sole surviving Himalayan kingdom, shrouded in mystique, and steeped in history. Early this morning, we begin exploring this magnificent metropolis. We enjoy a real treat as we visit Kolkata's lively flower market, where the streets are transformed in an explosion of bright colors. We also see Mother Teresa's house, and the Victoria Memorial, an ornate white marble structure dating back to the early 20th century. Today we coach to Kurseong, where we enjoy lunch at the colonial-style Cochrane Place Hotel. Later we climb almost 7,000 ft into the Himalaya as we enjoy an enthralling journey on the Darjeeling Himalayan Railroad. Loved and used by locals, the line is also UNESCO listed. We board the narrow-gauge train in the heart of the town; for a while the train runs directly through the noisy center of the street before climbing into the verdant surrounding forest. Numerous vibrant plants and shades of green provide a backdrop as we wind our way around the mountainsides and continue our ascent. We visit Tiger Hill viewpoint, where we watch the sunrise from behind Kanchenjunga, India's highest mountain. The peak changes color with the sunlight, casting orange, red and pink hues on their surroundings. Today we visit the mesmerizing Rinpung Dzong, a fortress monastery and a fantastic example of Bhutanese architecture. 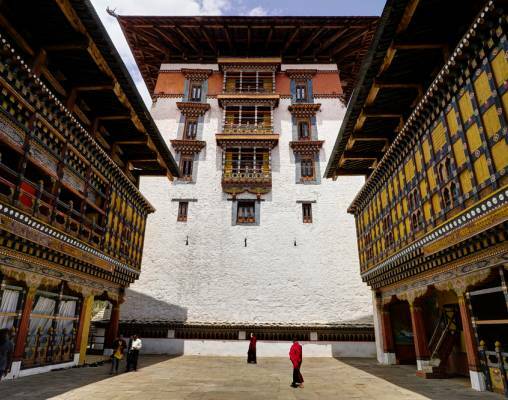 We also visit the National Museum, housed in a former watchtower of Rinpung Dzong, before taking the drive through the alluring mountain route to Punakha, where we spend tonight. 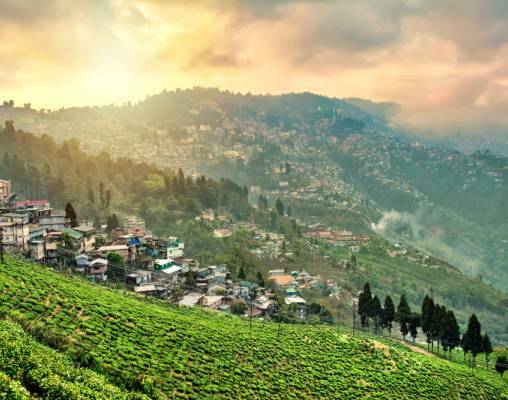 Dating back to the 19th century, the delightful Darjeeling Himalayan Railroad uses innovative engineering to make its steep ascent into the Himalayas. The railroad's imaginative design features six zigzag reverses and three loops across 54 miles of incredible narrow-gauge track, some of which we experience on our journey from Kurseong to Darjeeling. 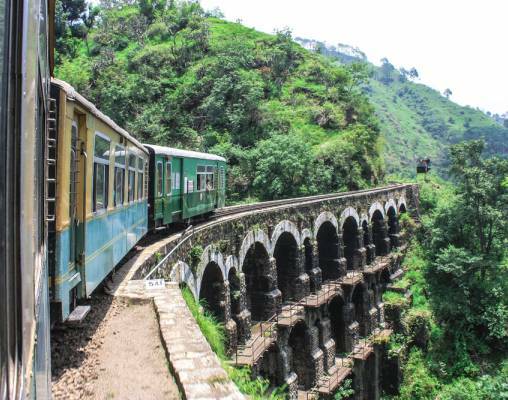 Climbing to India's highest railroad station, Ghum, which stands at a staggering elevation of 7,218ft, a ride on the affectionately-nicknamed 'Toy Train' offers stunning views of cloud-topped green valleys, rushing waterfalls and the region's famous tea fields. End your journey with a breathtaking panorama of the Kanchenjunga mountain range. The 5-Star Oberoi Grand Hotel is situated in the heart of Calcutta, and is a landmark of the city, housed in a distinctive neo-classical colonial building. Among the hotel's many facilities is an outdoor swimming pool, as well as a spa and a fitness center. Set in lush greenery, the Sinclairs Hotel enjoys a location in the heart of Siliguri. It benefits from a host of facilities such as a lounge bar, a spa, and an outdoor swimming pool with open air terrace. 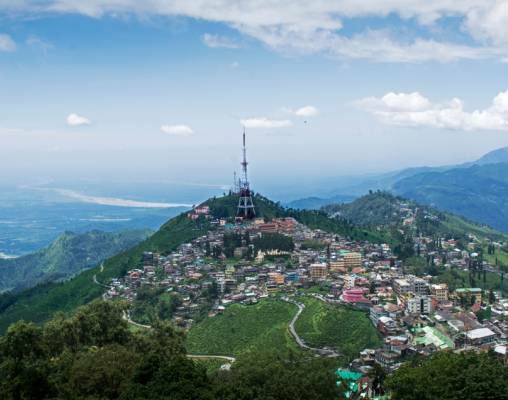 The Windamere is a beautiful heritage hotel, and one of Darjeeling's best-loved landmarks - offering views of the famous tea plantations and Kanchenjunga, one of the world's highest mountain peaks. Originally opened as a boarding house for British workers, it is also known as one of the places where Vivien Leigh spent some years of her early childhood. The hotel has been carefully restored with many flourishes reflecting its history, and offers many facilities including a popular restaurant serving Indian and international cuisine. There is also a spa offering many different treatments. The Lhaki Hotel resides in a small town in Bhutan, just a stone's throw away from the border with India. This comfortable hotel comes well equipped with a bar, a laundry service (payable locally), a spa, and fitness facilities. 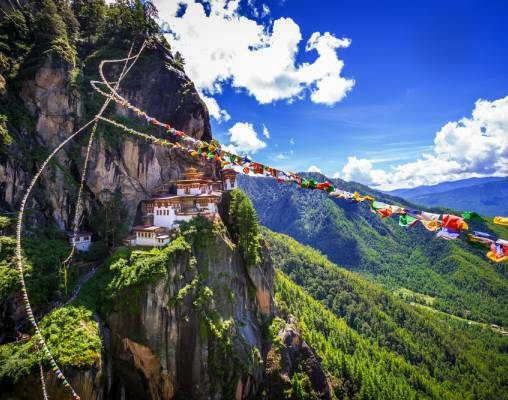 With a location overlooking the famous Taktsang Monastery, the Tiger's Nest Resort is one of the most tranquil locations in Paro. The hotel is decorated in a traditional Bhutanese style, and boasts a restaurant and bar. The food here is traditional vegetarian Bhutanese cuisine, using fruits and vegetables from the farms that surround the hotel. The stunning, and aptly named, RKPO Green Resort is our base in Punakha. This hotel is very traditional in its decoration of intricate wood carvings and its vibrant painted exterior. 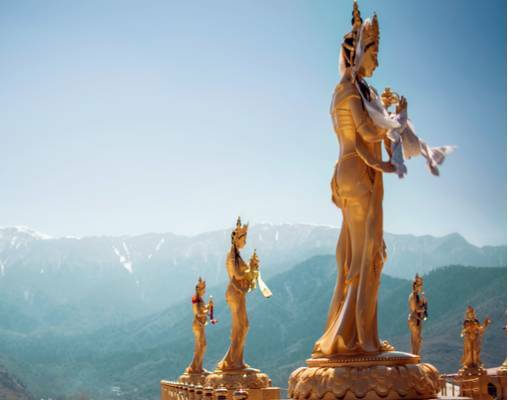 The traditional aspect of the RKPO Green Resort is continued in its entertainment, offering cultural experiences such as Bhutanese dancing and bonfires, as well as providing guests with delicious local cuisine served in the restaurant. There is also a bar with a garden, offering beautiful views of the surrounding scenery. The distinctive Druk Hotel enjoys a fantastic location in the center of Thimphu, close to all the attractions of the Bhutanese capital. The hotel has a spa and health club which offers a range of treatments. Enter your details below if you would like to be notified when 2020 dates and prices are available for Darjeeling & The Last Himalayan Kingdom. Prices are correct at the time of publication, however are subject to change at time of booking. Prices are land-only, per-person based on double occupancy. Visa Requirements: It is your responsibility to check and fulfill the passport, visa, health and immigration requirements applicable to your itinerary. We do not accept any responsibility if you cannot travel, or incur any other loss because you have not complied with any passport, visa, immigration requirements or health formalities. You agree to reimburse us in relation to any fines or other losses which we incur as a result of your failure to comply with any passport, visa, immigration requirements or health formalities.